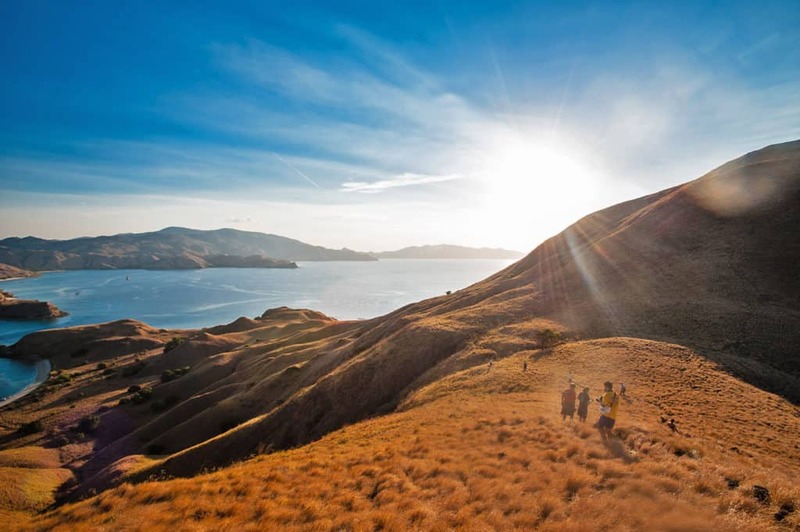 Specializing in customized itineraries for individuals, couples, and groups, we create the ultimate holiday for you in Indonesia. We are based in south Bali but we lead trips to all corners of Indonesia for scuba diving, photography, and land based adventure. Combining over twenty years of experience in the scuba diving industry, we provide the best possible experiences for our guests. Whether you are a new diver wanting personal instruction or a photographer looking for the best photographic opportunities in Indonesia; the Underwater Tribe is at your service! Our Bali Scuba Diving packages are led by the top critter spotters in the industry. Our dive guides are experienced working with underwater photographers, non photographers and beginner divers too! We have full time PADI Instructors on staff who teach the full spectrum of PADI courses in a variety of languages including English, Italian, Indonesian, French, and Japanese. What Makes the Underwater Tribe Different? What sets us apart is the personalized service we provide. Our guests are “not just another customer” but rather a “member” of The Underwater Tribe! We build life long relationships with our guests and try our best to meet their every need. We customize our Bali safari trips with your input to experience the best the island has to offer, underwater as well as on land. Our team of local professionals work their hardest to make sure you have a wonderful holiday. Our liveaboard based trips are planned to coincide with ideal conditions in the areas we have chosen. We meticulously plan the diving schedule in order to visit the best reefs at the peak time. We are here to facilitate anything and everything you may need during your time with us. If you feel something is missing just let us know and we will aim to provide! All of our destination adventures are personally led by Luca or Mike (and sometimes both) to ensure that every detail is looked after. Our job is to look after the “day to day” hassles that may happen while traveling, therefore, you are free to enjoy your holiday. No need to deal with the stress of reservations, transport, or a myriad of other details! During our travels together, the idea is not what WE want to do but rather what YOU want to do! Our hallmark is flexibility of schedule and itinerary in order to make the most of every situation. Mike is a Canadian national who has been living in the Indo-Pacific since the late 90s and is now based in Bali, Indonesia. Starting his diving life in the Republic of Palau in 1999, Mike has since worked in Fiji, Tahiti (Tuamotu), Yap, and Indonesia with many travels in between. Mike is a well known underwater photographer who contributes to many international magazines with his photography and writing. Mike won the "Earth in our Hands" category of the prestigious BBC Wildlife Photographer of the Year awards in 2013. With a passion for teaching others the art of underwater photography, Mike leads all of the Underwater Tribes photographic trips and seminars and you will quite often find him underwater with a slate in hand adjusting someone else's strobes! 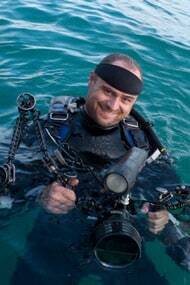 Mike uses Nauticam housings, Sea and Sea strobes, and FIX Neo lights for all of his imaging needs. 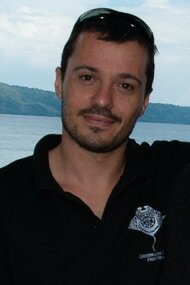 Luca is Swiss national of Italian origin who, at the age of 12, took is first dive certification in Italy. In 2000, at the age of 18, he moved to Perth, Australia for a year to learn English and become a Scuba Instructor. 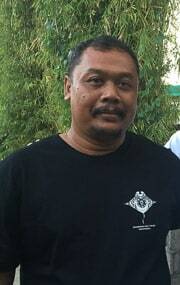 He began his professional diving career in 2001 when he began working in the Maldives and then moved on to Thailand, and the Red Sea before landing in Indonesia in 2005. Luca has many years experience of managing all aspects of dive operations from teaching, operational management, employee relations, and especially guest relations. His enthusiasm for diving, photography, and life in general is contagious and he instantly creates a great rapport with all of his guests. When not diving or photographing underwater, he can be found surfing Bali's amazing waves or exploring the beautiful interior of the island of the gods! The administrative heart of the Underwater Tribe, Miho makes sure that all of the logistics of the company run smoothly while still jumping in the water from time to time to enjoy a dive or two! 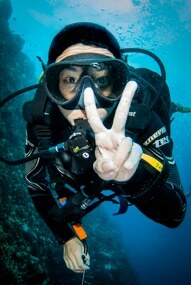 Miho, originally from Nara, Japan, is a PADI IDC Staff Instructor who has taught hundreds of divers since 2001 when she became an instructor in Perth, Australia. After leaving Australia she has worked in the Red Sea, Thailand, and North Sulawesi before moving to Bali with Luca in 2011 to start the Underwater Tribe. When not sleeping (her favourite past time) Miho is often found behind the computer answering customer emails and making sure that everyone is where they need to be when they need to be there! 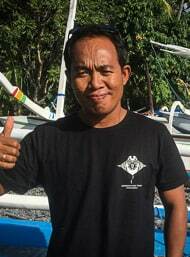 Parman is originally from North Sulawesi, Indonesia but has been based in Bali for more than 5 years, leading diving safaris all over the island and teaching PADI Scuba Diving classes to all levels of divers. One of the most sought after dive guides for underwater photographers, Parman has an amazing ability to find all of the wonderful critters that has made Bali such a popular spot of critter divers. Working at a slow and easy pace throughout a dive, Parman often finds many new subjects that even experienced divers have never seen before! 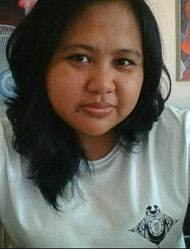 Yopi is one of our full time guides in Bali. Originally hailing from North Sulawesi, Yopi has a keen eye for the small critters. Along with Parman, Yopi leads many of our Bali Safari trips around the island. His favourite creatures are frogfish, pipefish, and nudibranchs! Yopi is always smiling and is eager to help our guests with their gear and photography needs. 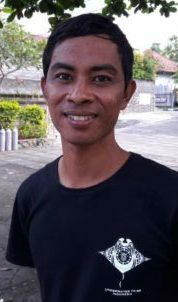 Rani is originally from Java but has been based in Bali for many years. An accounting graduate with a passion for numbers, Rani is in charge of all of the behind the scenes office work that a busy dive centre accumulates on a day to day basis. For those who visit our offices, Rani is the smiling lady who will greet you and make you feel at home! Our team of drivers are some of the most experienced and professional drivers in Bali who know the roads extremely well and will get you to your destinations in a safe and timely manner. Although they are full time drivers, they are all happy to discuss Balinese traditions and tourist attractions with our guests. As part of the personalized service we provide, our team of drivers are also extremely helpful and are often found helping guests in and out of the water, carrying cameras, and washing gear at the end of the day.